These are all seven volumes in the series. This seven volume series is probably the longest and most detailed audio-testimonial of a famous magician. Each of the recordings can be heard individually; if purchased and listened to in sequence they quite clearly form a complete course of magic for anyone with or without experience. Billy has worked everywhere and with most kind of magic. What he relates on these tapes is the result of a lifetime of experience in magic. Invaluable lessons are taught. 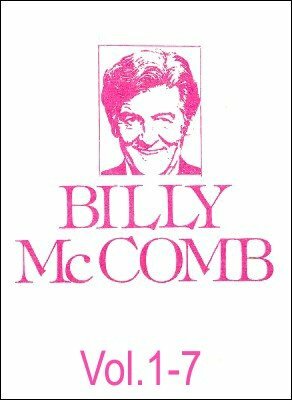 Each volume lasts around 90 minutes each (more than 10 hours in total) describing not only the methods that Billy uses but the patter, gags, bits of business and presentation of each routine. Volume One: A general introduction to magic. Volume Two: Introduction continued, together with a great deal of information on working cruise ships. Volume Three: The Himber Ring Routine and Night Club Magic. Volume Four: Close Up Magic. Volume Five: The full Ring On Stick routine. Volume Six: The full routine for the Nap Hand effect. Volume Seven: The full routine for the Bill in Lemon effect. This is a licensed reproduction of the famous Magicassette series created by Martin Breese - now owned by Lybrary.com.